Interoperability and easier migration between offered serviced are aims that can be supported by cloud service brokerage in the cloud service ecosystem. We present here a multi-cloud storage broker, implemented as an API. This API allows objects and collections of objects to be stored and retrieved uniformly across a range of cloud-based storage providers. This in turn realizes improved portability and easy migration of software systems between providers and services. Our multi-cloud storage abstraction is implemented as a Java-based multi-cloud storage API and supports a range of storage providers including GoogleDrive, DropBox, Microsoft Azure and Amazon Web Services as sample service providers. We focus on the architectural aspects of the broker in this paper. The abstraction provided by the broker is based on a layered ontological framework. While many multi-cloud applications exist, we investigate in more detail the mapping of the layered ontology onto a design pattern-based organisation of the architecture. This software architecture perspective allows us to show how this satisfies important maintainability and extensibility properties for any software system. 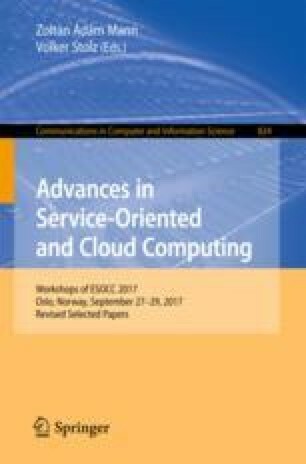 This work was partly supported by IC4 (Irish Centre for Cloud Computing and Commerce), funded by EI and the IDA.